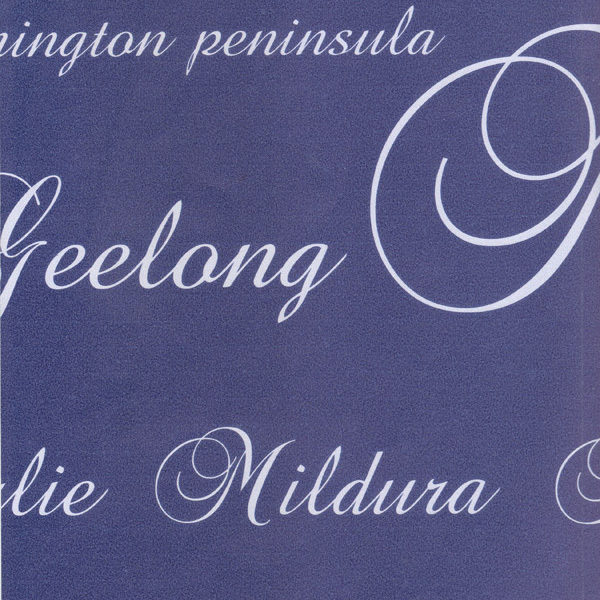 The words in this classic script design conjure up personal memories for all Australians. These names remind us of our lives here – of childhood places, of travelling around the country, of holidays in the sun and of the great Australian cities in which we have lived and worked. Please click here to purchase a sample of this product.